The blend, featuring hazelnuts and chocolate nibs, is easy to make and adapt. 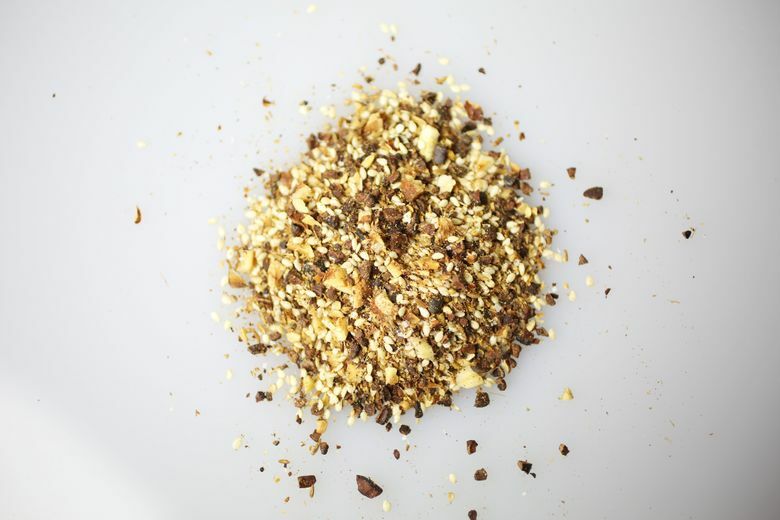 DUKKAH IS AN Egyptian spice blend that usually contains nuts, sesame seeds, cumin and coriander. It’s rapidly gaining popularity all over the world, probably because there are so many ways to use it. 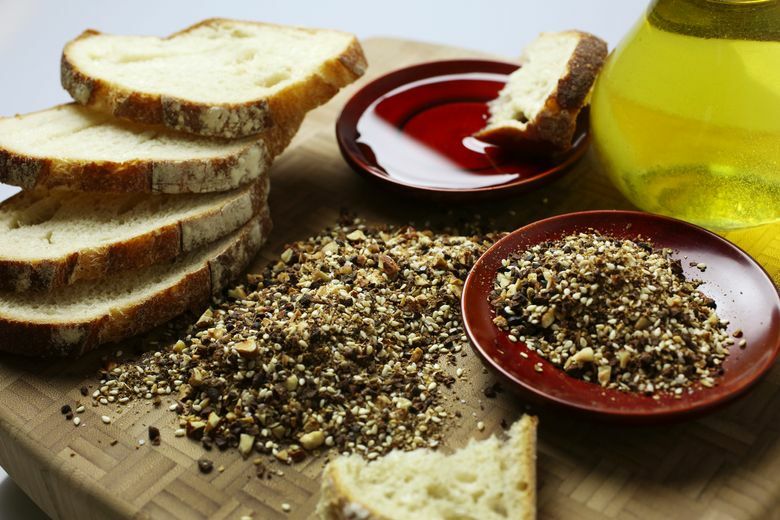 The easiest way just happens to be my favorite: Dip pieces of baguette, pita, ciabatta or other hearty bread into good-quality olive oil, and then into the dukkah. Then eat! It’s the perfect quick fix for a homemade happy hour. Although it’s getting easier to find dukkah ready-mixed, it’s easy to make and even more delicious when the ingredients are fresh. Once you have some on hand, you’ll find countless uses for it: Sprinkle it on thick soups, salads or roasted vegetables; roll out pizza dough, brush with olive oil, sprinkle with dukkah and bake; use it to crust salmon, chicken or beef fillets before cooking; add it to plain yogurt or hummus to make an easy dip. When you make your own, you can customize it. I love the sweetness of hazelnuts, and by using our local DuChilly variety, I give my dukkah a Northwest twist. If you use pistachios or almonds, you’ll get a more traditional Middle Eastern flavor, but walnuts, pecans or even peanuts also will work well. And you can add other spices and herbs — try paprika (sweet or smoked) or dried mint. I developed this particular recipe for the Theo Chocolate cookbook because I can’t get enough of the crunch and savory toasted flavors you get by adding roasted cocoa nibs to the blend. The first steps in making chocolate involve roasting and cooling dried, fermented cocoa beans, which are then cracked into small pieces called nibs. Nibs are milled, mixed with sugar and refined to become chocolate, but the plain, unsweetened nibs bring intense roasted flavor and a brittle, nutlike crunch to anything you add them to. You can find roasted cocoa nibs at the Theo factory store in Fremont. 1. In a small, dry skillet over medium heat, toast the sesame seeds, stirring constantly, until they begin to turn golden. Put them in a small bowl, and set aside to cool. 2. Put the coriander and cumin seeds in a skillet together over medium heat, and toast the spices, moving the pan constantly, until they are fragrant, about 2 minutes. 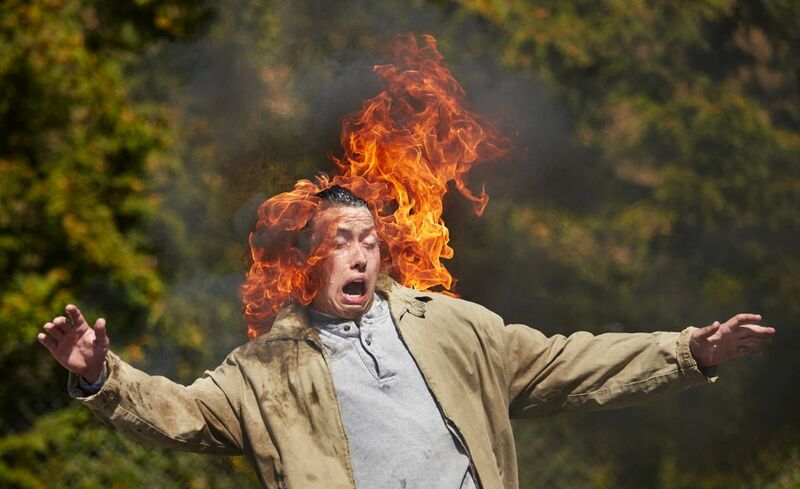 Watch them carefully so they don’t burn. Set aside to cool before grinding (don’t add them to the sesame seeds yet). 3. When the spices have cooled, coarsely grind them in a small food processor, a coffee or spice grinder, or with a mortar and pestle. Add them to the sesame seeds, along with the hazelnuts, salt and pepper. Finely chop the cocoa nibs (or use a small food processor). Add them to the spice mix, and stir until well blended. 4. Store the dukkah in an airtight container in a cool, dry place. Nuts eventually go rancid, and spices lose their potency, so use this flavorful blend liberally while it’s fresh, and try to finish it within two months. Note: You can use any hazelnut variety, but DuChilly hazelnuts, grown in the Northwest, are sweeter and don’t need to be skinned. Look for Holmquist Hazelnuts at farmers’ markets, at Pike Place Market and online.